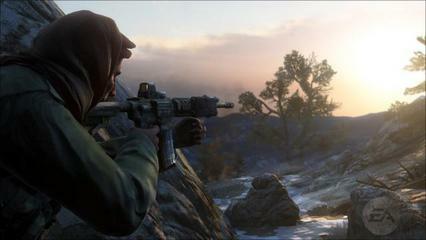 When is it alright to play as the Taliban in a video game? In response to Morgan’s most recent post, I’ll throw out what I think is a loosely-analagous case. Evidently, there was a controversy recently involving the video game Medal of Honor, which is set in the current Afghan war, and which allows players to play as the Taliban (in response to public outcry, game-maker EA changed the name from “Taliban” to “Opposing Force). My grandfather fought the Nazis and was wounded. For years afterward, my father recreated that war in games in his Brooklyn neighborhood, where some of the children playing had lost their fathers overseas. War games always require two sides, and someone in Brooklyn always had to play the Germans. Here’s my question for everyone: how similar is this case to Morgan’s? What distinctions can we draw? « When is it all right to dress like a Waffen SS soldier?